Nicola and I had a great day at Stodmarsh NNR. It’s a freshwater wetland just outside of Canterbury and is well worth a visit. It’s easy to get wrapped up in the woodlands, but wetlands would have been an important resource for our hunter gatherer ancestors and it’s a habitat that I should become more familiar with. 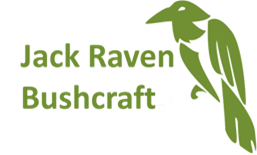 We were there to run a bushcraft day for the volunteers who help out at the reserve. The weather was great, after a misty start the sun came out in a cloudless sky with just a hint of a breeze, one of those wonderful autumnal days. We started off looking at different ways to create a flame and practiced putting an ember in a tinder bundle and blowing it into flame, which, as always, went down well. We looked at different natural tinders and then moved on to fire lighting. I demonstrated using a ‘V’ lay, birch bark and a fire steel. This is where doing the same task in a different habitat is good training. The only species of tree in the area was hawthorn, so I had to use that (I say “I”, but as usual Nicola collected all the wood and graded it by size whilst I was teaching!) and the ground was sodden (it’s a wetland!) so I made sure to use a good bed of dry sticks . We then got the students to light fires using any of the different methods we’d previously practiced. Everyone was successful, well done. From there we moved onto axes and after looking at a few different types and their features we made some wedges and hammers. 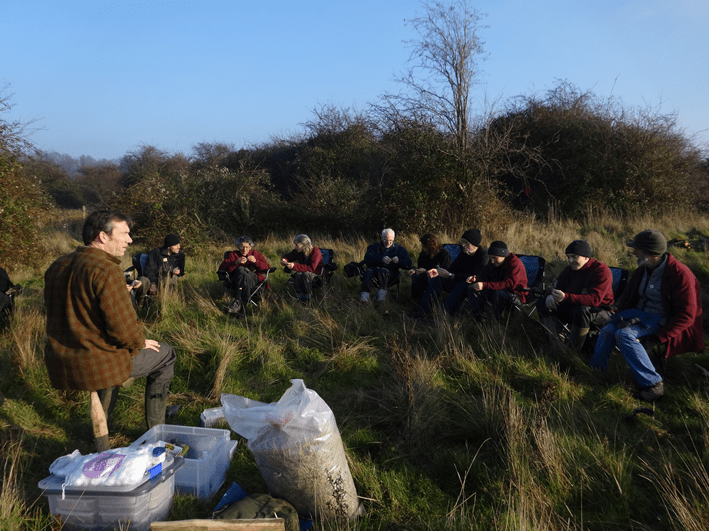 By this time the Natural England wardens had prepared a brilliant lunch of soup, jacket potatoes, baked beans, hot dogs and burgers, so we all stopped and tucked in. After lunch we went back to the axe work and had a go at cross cutting and clefting. We had a variety of different woods in different conditions; I got the seasoned hornbeam to crosscut! We were starting to lose the light by this time and had to wrap up. We really enjoyed ourselves and I got to see a marsh harrier. 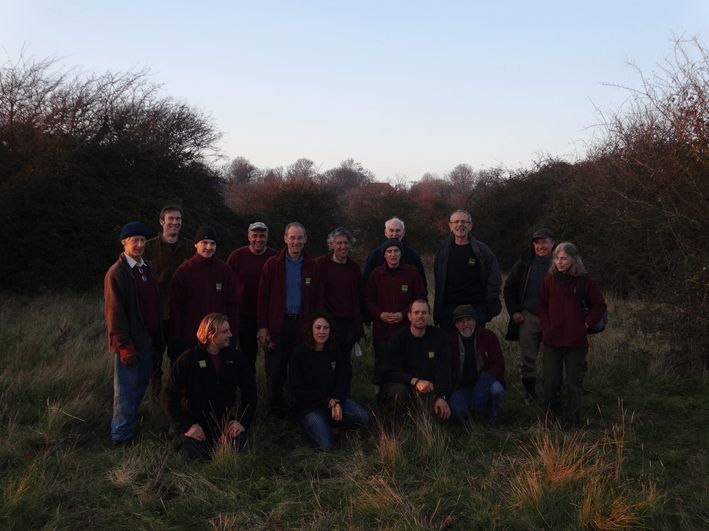 A big thanks to everyone at Stodmarsh NNR.